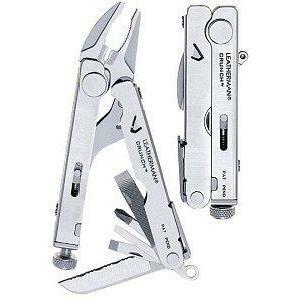 Leatherman Wave - Leather Sheath Regular and Needle Nose Pliers Wire Cutters, Hard-Wire Cutters And Wire Strippers Clip-Point Knife And Serrated Knife Saw • Scissors Wood/Metal File Diamond-Coated File Large Bit Driver Small Bit Driver Large Screwdriver And 8 Inch Ruler Bottle/Can Opener Lanyard Attachment Two Double-Ended Bits This one is the leader of the pack. 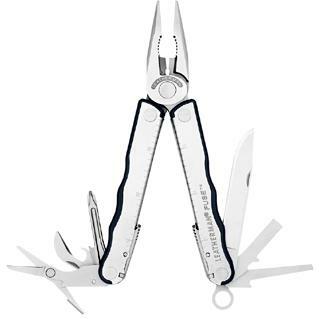 Best selling knife Leatherman has to offer. Every bell and whistle you can think of. Make this the first one you get, and you be glad you did.